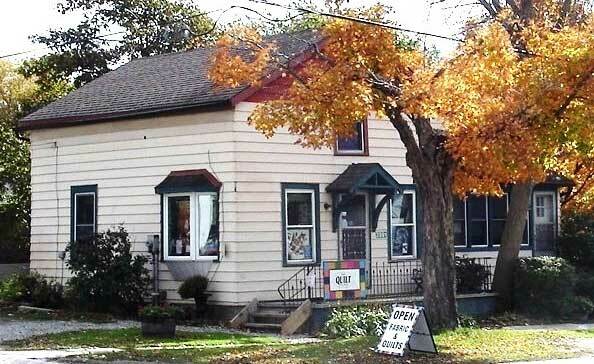 The Quilt Place is a full service quilt shop located in Shakespeare, ON – a hamlet with many interesting specialty shops just 10 minutes east of Stratford. The Quilt Place has been inspiring and supplying the quilting community with quality products to create beautiful quilted items since 1986. 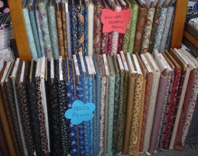 The Quilt Place carries over 2000 bolts of quality cotton quilting fabrics, including 1930’s, batiks, civil war, including William Morris prints and Kona solids. 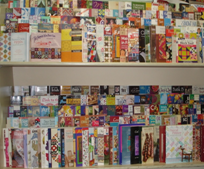 Hundreds of quilt books and quilt patterns including many by Canadian designers are available. Ready-made quilts are for sale and custom quilt orders are welcomed. Looking for an item? Contact us as it may be possible to order it. 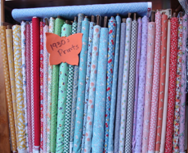 The Quilt Place is participating in the July Shop Hop, Row by Row Experience and the Northcott Stonehendge 10 year Anniversary Block Party events during 2019. Visit the News page for specials and events. 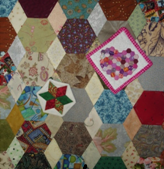 Also check the Quilt Events page for a listing of Shop Hops and Quilt Shows. This list is updated as info becomes available. 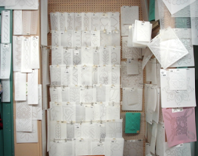 The Gallery will give you insight into some of our activities. On the Contact page you will find our hours and how to locate us. For the non quilter there are wall quilts, table runners, quilted bags, hot pads, and tea cosies that make ideal hostess gifts as well as to decorate your own home. For babies we have receiving blankets, bibs and cloth books that make wonderful gifts. Our friendly knowledgeable associates are always available to help with any quilt related question or challenge. Drop by and browse through our unique selection.